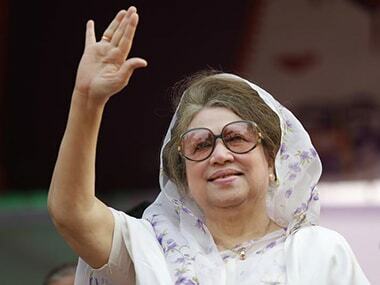 Dhaka: Bangladesh's High Court on Thursday accepted petitions by imprisoned former premier and main opposition BNP chief Khaleda Zia seeking bail and challenging a five-year jail term given to her by a lower court on graft charges. The 72-year-old three-time former prime minister was sentenced by Dhaka's Special Court on 8 February in connection with the embezzlement of 21 million taka (about $ 250,000) in foreign donations meant for the Zia Orphanage Trust, named after her late husband Ziaur Rahman, a military ruler-turned-politician. "The (two-judge) bench accepted the petitions and fixed Sunday for hearing her bail prayer particularly," a High Court official told newsmen. He said the bench comprising judges M Enayetur Rahim and Shahidul Karim simultaneously stayed fine of Tk 2.10 crore ($1=Tk80) that the trial slapped on Zia alongside the prison term and asked authorities concerned to forward the case records in 15 days for hearing on the appeal petition. The High Court order came as Zia s counsels filed two petitions two days after the defence counsels challenged her conviction against the lower court verdict. Zia s lawyers earlier said in their 1,223-page prayer they cited 25 grounds for her acquittal alleging that the verdict was politically motivated to debar her from contesting upcoming elections, an allegation denied by prime minister Sheikh Hasina's government. Political analysts feared the BNP was facing political crisis after Zia s conviction, which is likely to disqualify her from contesting elections. The BNP had boycotted the general election in 2014 and spearheaded a protracted street campaign enforcing a nationwide blockade coinciding with its first anniversary that saw some 500 people dead in arson attacks. Zia, however, appears to be seeking to contest the next polls set for December this year. BNP s secretary general Mirza Falhrul Islam Alamgir last week told a protest rally that the party would not take part in polls discarding Zia saying "no national election will be held without BNP Chairperson Khaleda Zia". 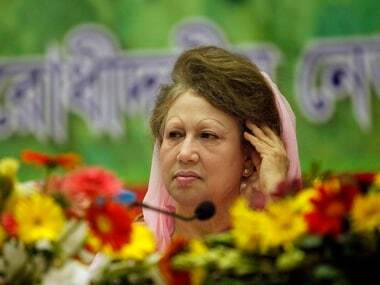 But Prime Minister Hasina said her government could do nothing if BNP again decides to boycott the upcoming polls. The elections will be held in due time, she added.